With the boss laid out last week at the hands of Brock Lesnar, who will return to take Mr. McMahon’s place, and what consequences and/or actions could the former WWE Champion face? The Elimination Chamber Pay-Per-View is shaping up. WWE Champion The Rock (still hard to type) and C.M. Punk are booked for a rematch, and the Smackdown Chamber is set for the #1 contender spot to the World Heavyweight Championship? Between those two matches, what “mind games” can continue tonight? Plus, more from Chris Jericho? Let’s hope so! All those, and (wishing) much more (and better) tonight, so read on! C.M. asks the crowd if he overreacted, because he held the most important championship in WWE for 434 days. Punk answers his own questions, saying that he only acted as someone would normally act if they were screwed. He claims The Rock does not know what it is to be WWE Champion, and then informs us that people have been asking him regarding the video of Paul Heyman with Brad Maddox and The Shield. “The Straight-Edge Superstar” exists the ring and inquires the fans if they had seen him in that video. Cole confirms that Punk was not in the footage. He continues to claim that Mr. McMahon doctored the video and Heyman was really not a part. Punk declares that Vince got what deserved when Brock Lesnar F-5’ed him. C.M. will give The Rock his “rematch,” but before he can continue, Smackdown General Manager Booker T. walks out. He says that Monday Night Raw Managing Supervisor allowed him to pick Punk’s fate. However, he is going to leave the choices up to the people. “The Second-City Saint” protests his potential opponents of Rey Mysterio, Randy Orton, or Chris Jericho, all who he faced the last three WrestleManias in a row (26, 27, and 28 respectively). Using the WWE App on their phones, fans will get to pick, which Cole gives a quick tutorial about. Ryback makes his entrances and he will have a match up next! They lock-up to begin the bout and Ryback shoves Cesaro into the corner. Antonio tries a waistlock, but Ryback flips him over and beats away in the other corner. He hip-tosses Cesaro and drops a leg on the U.S. Champ. Ryback stomps in the corner to the rhythm calls of “feed me more!” Ryback Thesz-Presses Cesaro, but misses in the corner and gets hammered with a club to the back of the neck. Back live, Ryback is in control again, spine-busting him. Cesaro rolls out of the ring, but Ryback gives chase and brings him back into the ring. Antonio jawbreaks Ryback on the ropes and runs him into the steel post and steps. The referee begins the count, but Ryback slides back in the nick of time. Cesaro takes more advantage, beating Ryback in the corner and slamming him to the mat with double-knees. 1 – 2 – Ryback kicks out! Cesaro runs at him with a clothesline, but gets met with a knee and back body drop! Ryback is wound up and “meat-hook’s” Antonio. who rolls out of the ring. Ryback catches him, but Cesaro nails a boot. He runs again at Ryback and gets taken down with another powerbomb. One more “meat-hook” clothesline and a Shell-Shock marching Samoan drop for the victory to Ryback! More replays from both tonight and last week are aired. The same Shield promo, mixed in with footage of their attacks on the various superstars (including last week’s beatdown of John Cena) plays. Managing Supervisor Vickie Guerrero tries to convince John Cena not to call out The Shield, but to no avail, as Cena stands up for the WWE as usual. They re-air Trish Stratus’ well-deserved induction montage, then the new inductee will be revealed later tonight. (Note: Smackdown General Manager Booker T. is out on commentary) Swagger dominates Santino, forcing him to tap-out to the “Patriot Act,” formerly known as the Ankle Lock. Cody is aggressive early, with a kick to the gut and elbows to the head. Del Rio fires back with an elbow to the head and a reverse hurricanrana off the top rope. Alberto drops Rhodes with a flapjack, then kick to the back of the head. Cody slapped Del Rio, which irritated the World Heavyweight Champion, who punched and kicked Rhodes into the corner. Cody gains an advantage with a kick to Alberto’s knee and then a knee drop. He headbutts him in the corner, but misses a mini-splash, allowing Del Rio to regain momentum with a couple clotheslines and a tilt-a-whirl slam. Stiff kick to the face for a near-fall by Del Rio, who then signals for the cross armbreaker Submission, but Cody gets out of it and hits the Disaster Kick! 1 – 2 – 2 1/2 – Del Rio kicks out! Alberto quickly catches Rhodes in the cross armbreaker for the victory! Post-match, Del Rio takes the microphone. He puts over the fans and his recent (and quite successful, so far) face turn. He says he is the World Heavyweight Champion for all the people who work hard and struggle in life, as well as those who are bullied by “monsters” like The Big Show. He threatens that the 7-footer will pay for beating up his best friend Ricardo Rodriguez. Big Show himself appears on the Titantron, “live via Satellite.” He demands a rematch for the World Heavyweight Championship at Elimination Chamber, or what he will do to Del Rio will be much worse than what he did to Rodriguez. Kane and Daniel Bryan are arguing once again. They debate who was to blame in their tag-team loss from Friday’s Smackdown (read that fine report on this fine website!). Bryan demands his “Team Hell-No” partner to stay in the back while he goes out for his contest. They circle around and engage in an elbow/collar tie-up. Daniel snapmares Mysterio and kicks him in the back, but Mysterio gets out of a double-handlock cover combo, and flips Daniel over with an armdrag and dropkick. Mysterio knees and kicks Daniel, but gets dropped on his gut with Bryan’s knees. Mysterio twirls out of a wristlock, but gets chopped on the turnbuckle and hangs upside down. Bryan runs at him, but eats steel and rolls out of the ring. Bryan is back in control, with another wristlock and then flips Mysterio over. He throws Mysterio out and then baseball slides him. Bryan runs with a suicide-dive, but Rey-Rey counters with an elbow, diving seated-senton and a couple of hurricanranas for a near-fall! Mysterio attempts the 6-1-9 but Bryan catches him with the “No-Lock” (Crossface) submission, however Rey reverses into a cover for two! Rey does measure Daniel again for the 6-1-9 and nails it! He ascends the top rope, but misses the “Drop of the Dime” splash, allowing the WWE Tag-Team Champion to clamp on the Crossface “No-Lock” again and making Mysterio give up! Tag-Team Champions “Team Hell-No” bicker again about who was where wells Bryan Mark Henry was decimating Bryan. Kane tells Daniel that “words hurt, and nothing is more powerful than our friendship.” Of course, that is not actually true and Kane walks off! A recap of last week’s Raw involving Brock Lesnar, Vince McMahon, and Paul Heyman is aired yet again, as well as a pointless video of The Big Show ordering room service and refusing to tip. Sheamus enters the arena and up next, he will take on Kane! Elbow/collar tie-up begins, then Sheamus hammers away in the corner, twice! Kane counters an Irish Whip into a clothesline then uppercuts and kicks Sheamus in the corner. A huge sidewalk slam gets a two-count for Kane, who briefly brawls with Sheamus on the outside before getting the Irish Curse backbreaker. Both men are quickly to their feet until Sheamus axe-handles Kane over the ropes. Sheamus batters away at Kane on the apron, but Kane jawbreaks him using the top rope. Kane counters the Brogue kick with a chokeslam attempt, but Sheamus reverses into the White Noise, but Kane wiggles out into the Tombstone, which Sheamus maneuvers out of, into a DDT. (Nice little sequence). Just now, Daniel Bryan runs out and Kane is distracted, ordering him away. Kane turns around right into the Brogue Kick for the 1 – 2 – 3! The Miz is setup for his talk show, MizTV. He talks about Paul Heyman’s deeds last week, until the man himself interrupts. Heyman addresses him as “Mr. Mizanin,” and says he did agree to clear his name. He offers his “best wishes” to the Chairman Of WWE but denies all knowledge of Brock Lesnar’s assault on Mr. McMahon. Heyman turns it around on The Miz, asking him if he agrees that C.M. Punk should still be WWE Champion. Vickie Guerrero interjects, giving Heyman his alibi, as he was the one who re-signed Lesnar. She begins to cry over Mr. McMahon’s condition. They have a moment of silence, until Miz berates them for being phonies. Brock Lesnar now comes out and complete destroys the set of MizTV and The Miz. During Wade’s entrance, a side video plays of Bo Dallas putting over his recent success with the Intercontinental Champion. Barrett kicks and punches at Orton in the corner, then Randy returns with a Thesz press and mounted-punches. He slams Wade’s head twice into the side of the ring, then backdrops him on the barricade. Barrett pops right up and clotheslines Orton, then hits a snap suplex and another clothesline over the top rope. Barrett runs over and kicks Orton in the head, then slams it into the side of the ring as well. Inside the ring, Wade clutches Orton with a rear chinlock, with “The Viper” battling out. Two clotheslines and a powerslam follow, plus the slingshot DDT! Orton is “zoning up,” but gets caught into the side spinning slam. 1 – 2 – Randy kicks out! He goes for Wasteland, but Orton elbows his way out and soon after brings him down with the R.K.O for the duke! Up next, C.M. Punk will take on Chris Jericho! (Personal note: still can’t get used to Y2J’s tattoo – just seems so out of place on him!). Lockup and chops between the both. Jericho catches Punk off the ropes with an elbow and a suplex. The fans are chanting for both Y2J and C.M. Punk. A quick two-count for Jericho, then Punk grabs his leg. He whips him off the ropes and hits hard in Jericho’s gut with his knee, then grasps him with a grounding hammerlock. He runs at Chris in the corner but gets a boot in his face, however does the same to Jericho with knees in the other corner. Jericho counters a Tornado DDT attempt, and soon baseball slides Punk into the announce table, but C.M. guillotines Jericho on the top rope. Back live, Punk backdrops Jericho, then drops three legs on the back of his head for a two-count. He misses a springboard clothesline, giving Jericho the wind-up with shoulder blocks and a diving axe handle. Bulldog by Jericho, gets his Walls Of Jericho submission countered. Punk tries to run at Jericho in the corner, but lands on the top rope and is brought down harshly with a top-rope hurricanrana. 1 – 2 – Punk gets the shoulder up! Punk manages to get Jericho in position for the Go To Sleep, but Jericho reverses into the Walls Of Jericho, which Punk reverses into a small package pin, which Y2J reverses himself! (Also a nice little sequence). Punk ascends the top rope but misses the top-rope elbow and gets a Lionsault slammed on his body! 1 – 2 – Punk kicks out! Jericho kicks out too, following a stiff kick from C.M., who promptly locks in the Anaconda Vice. Jericho is struggling and manages to grab the bottom rope. Punk breaks it at four, and Jericho shoulders Punk in the gut twice. He climbs the turnbuckles again, but Punk cuts him off into the Go To Sleep. However, Jericho reverses into a full-on Walls Of Jericho in the middle of the ring! C.M. makes it to the ropes to preserve the bout! He reverses another Walls by spinning Jericho into the middle turnbuckle and chucking him into the steel ring post. C.M. picks up Jericho and plants him with the G.T.S. for the hard-fought and earned victory! It’s now time to find out the big name for the next honoree into the WWE Hall Of Fame! Bruno Sammartino! The Living Legend’s career is depicted in a nice highlight package, complete with sincere comments by other legendary Hall Of Fame wrestlers, like Rocky Johnson, George “The Animal” Steele,” “Mean” Gene Okerlund,” J.J. Dillon, and current stars such as John Cena and William Regal. Matt Striker interviews C.M. Punk and asks him where his head is at. Punk is pissed off because The Rock is walking around with HIS WWE Championship, and that Punk knows he is still the BEST IN THE WORLD. A man delivers the contract to The Big Show for the World Heavyweight Championship match at Elimination Chamber, then the champion himself shows up. Alberto and Show engage in a brawl in the hotel hallway, with Del Rio coming out on top. Brad Maddox is in the ring with a microphone. 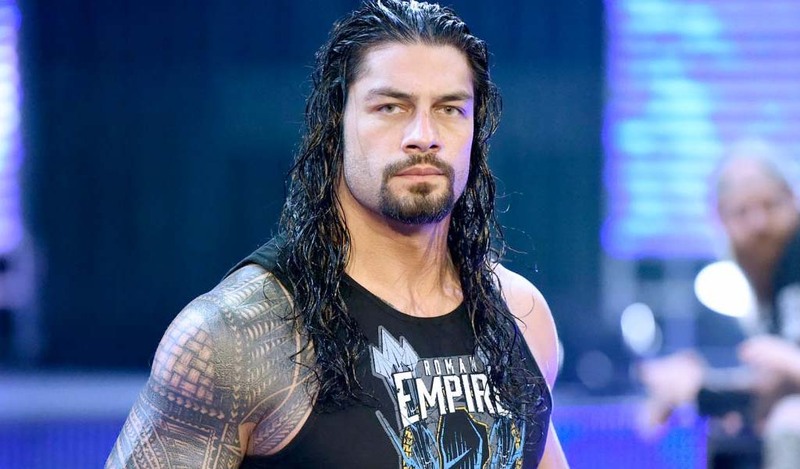 He claims that he was manipulated by Paul Heyman into helping out C.M. Punk. He declares himself an innocent victim, and reveals that he was the one who gave Mr. McMahon the clip that exposed the truth. He also declares himself a hero and wants it to be him that will teach The Shield about justice, NOT John Cena. He calls out the outlaw trio. In the stands, Dean Ambrose has a microphone and calls Maddox the rat. Seth Rollins wonders if Maddox knows what justice is about, which to Rollins will be them giving Brad the beating he deserves. Reigns says that they will enjoy it this time. Maddox makes a run for Ambrose, but is quickly disposed of. Cena’s music plays, but instead of through the stage, himself, Ryback, and Sheamus, make like The Shield and run through the fans. They surround the barricade, and as the three men try to go up the ramp, Randy Orton leads a bunch of the roster to block them off. Ryback, Cena, and Sheamus now enter the ring, brawling with Rollins, Ambrose, and Reigns, until they retreat up the stairs again. Ryback, Sheamus, and Cena stand tall in the squared circle to close the show. This was a much better show, wrestling-wise, but overall still felt very sub-par. The matches made up for the lackluster “going through the motions” promos. Excellence: the card – I thought all the bouts were well-executed, especially the mini-sequences of reversals and finishers in the Kane/Sheamus contest and Punk/Jericho match. Of course, the main event match takes the cake, as only Y2J and “The Second-City Saint” can do! Speaking of him, C.M. Punk’s promo was awesome as usual, and that is because of him once again placing importance on the WWE Championship and how he made it significant again. Please keep doing this! Finally, speaking of WWE Championships, congratulations to Bruno Sammartino. I’m very glad he put his personal feelings for Vince McMahon and the company as a whole aside, to accept the honor and (as many people say) legitimize the WWE Hall Of Fame. While I wasn’t alive when he was in his prime (I was born in 1986), I do know his body of work a little bit and also the class-act reputation he had while both inside and outside the ring, especially when he was WWWF Champion for 8 years. Bogus: Other than “The Straight-Edge Superstar’s” and World Heavyweight Champion Alberto Del Rio’s, the rest of the interviews for the evening were par for the course. Nothing new was revealed, nothing innovative was said, and frankly, they were just boring. The one other exception was John Cena too, as at least for this week, he went back to the “passionate, defending the company and wrestling” seriousness he is great at when he wants to be and actually put the product over well. On a small tidbit, why was A.D.R. smiling all the way down the ramp when his best friend was beaten up last week? It’s a minor detail, but if he’s that angry, he should show it and just charge to the ring, get the match over with and look for said best friend Ricardo Rodriguez! Lastly, where was Dolph Ziggler? He was a HUGE miss last night! As always, here’s hoping for story-telling improvement next week, as it will be the last show before Elimination Chamber, so I’ll also be given you my picks for the pay-per-view. Until then, Be Excellent Wrestling-Online Readers and Wrestling Fans!